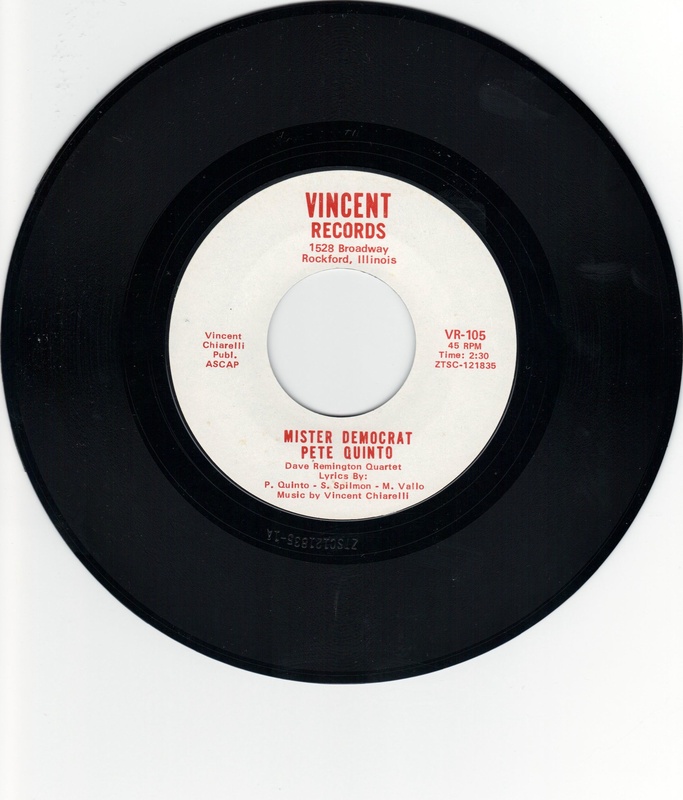 Peter Gianquinto, “Pete Quinto,” was widely known for his musical career as a Louis Armstrong impressionist, played trumpet with many famous musicians in and around the tri-state area and had his own band for many years. 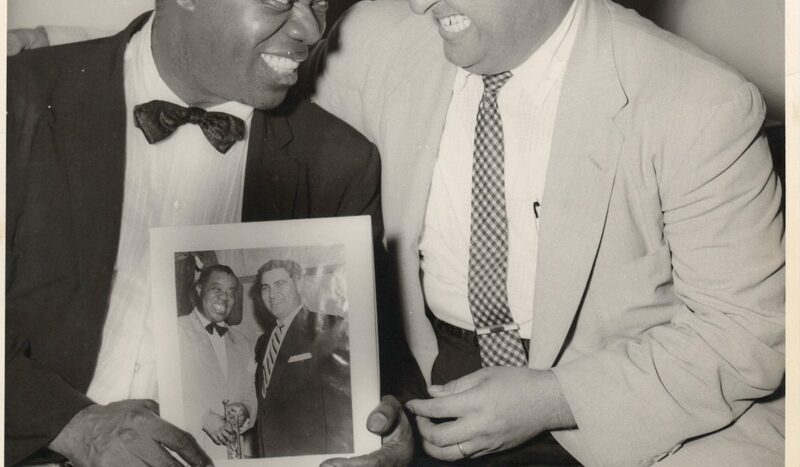 Peter was the only imitator to play on the same stage with Louis, and did so on several occasions. 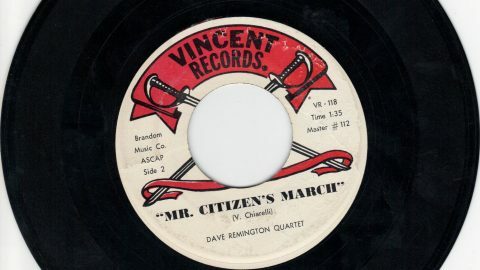 In 2003, Pete received the Rockford Area Music Industry award for lifetime achievement for his long dedication to his performance and promoting of music in the Rockford area. 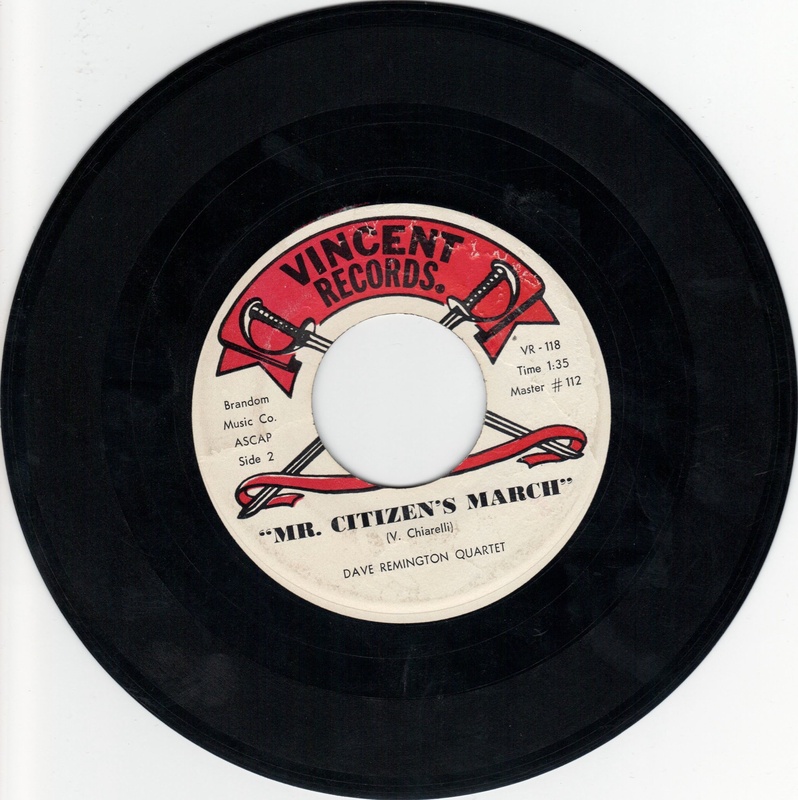 Pete was featured on 2 Vincent Records 45RPM records. 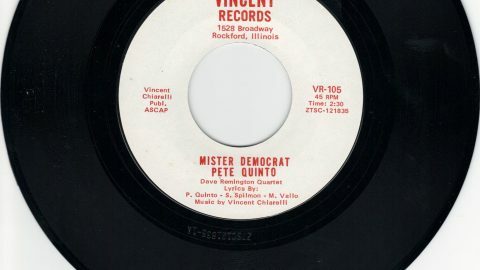 Pete sang the song Mr. Democrat, which was used as a Democratic rally song in 1968 throughout the country.